Looking for some short but high-quality entertainment over coffee or a snack? 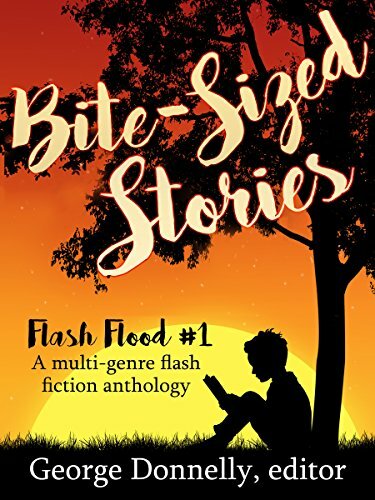 Grab Bite-Sized Stories and fill your stolen moments with 33 indie flash fiction tales. Just 5 minutes per engaging story. From a creepypasta horror farm to a bullish love tale and from the bloody metal deck of the ESS Arclight to superhero octopus food trucks, you can transform your shortest stolen moments into utter delights with this diverse collection of 33 flash fiction stories. Promotion Over. To get notified in time for these, sign up for the newsletter. The aliens have arrived. Heh, heh. Arrived. Can’t wait for the movie. Anyway, they’ve arrived, and are bearing gifts. More than 100 free ebooks in our usual genres. You know, the cool kind. Any shop you prefer, we’re on it. First weekend of October only, 1-2 Oct. Get ready cause it’s closing in fast. 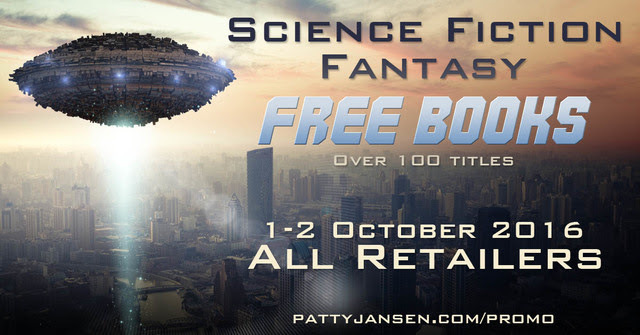 Massive Freebie Promo on August for Science Fiction and Fantasy Books! As with every month, be ready for Patty’s Promo. Promotion Over. Sign up at the Mythographers List and get notified for the next one. Let’s just call it speculative fiction, shall we? This time we’ve really gone far and wide, making books available on ALL major retailers. There’s not a corner of the globe where one of them won’t reach. Check out some of the early offers right now, or just wait for the email on the day. I Can’t Wait That Long! Show Me The Books. Huuuge March Promo! Signup On The List To Get It. Obviously this promo ended. Join the Mythographers Mailing List below for more promos like these. We are running a promotion with other indie authors and publishing houses, all in the speculative fiction genre. Honestly, more than you can read this year. So, if you like sci-fi, fantasy and horror signup with your email address and get the March email that will give you an insane amount of books to choose from! Yes I Want To Get An Email When The Promo Is Up! b) On Spec-fic books on Kobo, discounted to free for the time of the promotion. Just signup at the huuuge red button above and you’ll get an email soon.